These suggestions for working with hypermobile students1 are written in response to the many requests for help and advice I receive from yoga teachers. I’m not a doctor, a scientist or a hypermobility expert. I am a yoga teacher and therapist who has been practising yoga with Ehlers-Danlos Hypermobility Type since 1981. When I started teaching, in 2003, it was a rare teacher who didn’t respond, ‘What’s that?’ to a disclosure of hypermobility. I did at least have an awareness of the territory in my own body, and hypermobile students started to approach me in search of a teacher with some sense of how to work with them in a helpful way. Together, over the years, we have emerged a body of experience. There is no list of postures that are helpful / contra-indicated for hypermobility. Each hypermobile person is an individual with unique biomechanics and has to be evaluated as such. Hypermobility is complex to work with. It goes without saying that if you are a relatively new teacher and feel out of your depth, always refer your hypermobile student to a suitably experienced colleague. That said, any sound principle for functional movement and structural integrity you have learnt is potentially a useful tool for hypermobile students. Many of the principles for teaching hypermobile people are also best practice for working with all students and so are good material to incorporate into a general group class. Particular techniques for particular postures are outside the scope of this writing, but the following are some general possibilities to explore. • Many beginning students share the popular view of yoga in our culture as stretching, and even experienced students are often overly focused on flexibility. Frame physical practice as a movement towards balance and integrity. For some students this will mean working primarily on strength, stamina and stability; for others it will mean working on mobility and extensibility. This approach will also serve your stiffer students, who may feel that they are ‘bad’ at yoga because they are not flexible. • Work towards stability by encouraging hypermobile students to practise within end range of motion and engage postural muscles to support themselves structurally. • Guide hypermobile students to release (micro-bend) the insides of their elbows and the backs of their knees so that they are using postural muscles rather than ‘hanging’ in their joints – or dumping all their weight there. • Introduce hypermobile students to the dynamic of spiral and counter-spiral. This can be an accessible way to create more muscular engagement and counteract the tendency to hyper-extend the joints. • Guide students to draw their limbs into the sockets. The general principle is to relate back to the centre rather than pulling towards the extremities. If you teach a vinyasa style, bandha-s are key here – and generally very helpful for hypermobile people. • When teaching bandha be aware that a hypermobile person may tend to grip muscles globally and hang onto them for dear life, so present bandha is a subtle art, offering lots of opportunities for somatic exploration. Inviting the student to imagine the bandha rather than actually engage it can help to mitigate over-engagement everywhere. • Frame the discreet bandha-s articulated in many yoga systems – mula, uddiyana and jalandhara – as part of a much broader system of bandha which extends throughout and stabilises the whole body. • In a hypermobile body, overworked and very flexible muscles often compensate for tight, contracted ones. Look out for this and suggest ways in which the student might rebalance, by letting go or releasing in the tight places (myofascial techniques can be helpful here) and strengthening the over-extended ones. • Hypermobile people, by definition, have difficulties with proprioception, the ability to sense 1) the position of one’s own body in space, 2) the orientation of one body part to another, 3) the range of movement in a body part, 4) the degree of effort involved in carrying out a movement, and 5) which muscles need to be switched on and which switched off in order for a movement to be made in the most economical way. At the same time, many hypermobile people (particularly those – a significant number of us – who are autistic) also have heightened interoception – awareness of stimuli arising within the body – and so may be receiving an overload of other sensory information. Be mindful of the potential for labelling sensation-sensitive students as hypochondriac, neurotic or self-dramatising because they are registering somatic experience in a range that for the teacher is under the radar. • A hypermobile student may find it helpful to have something to push into or resist against – this provides greater proprioceptive feedback and de-emphasises extending the joint as the main action. For example: ‘Press your elbows into my hands’ (to work with hyper-extending elbows in downdog), or ‘Press your shin up into your hand’ (to work with a hyper-extending knee in utthita trikonasana). • Educate students about edge as a range of possibilities. Because of the limitations in their proprioceptive capacity, hypermobile people may need guidance to be able to feel the softer edges on the spectrum. If a hypermobile student consistently chooses a hard edge, be aware that this may be because it’s the only edge they can feel, rather than concluding that they are an aggressive practitioner. • Be prepared to adjust the hypermobile student’s alignment, in the same place, in the same way, again and again. Because of the proprioceptive deficit that is integral to hypermobility, most hypermobile students will need to feel the new alignment many more times than a non-hypermobile student in order to embody it. • Offer only one or two verbal / physical adjustments at a time, even if there are many things in an asana that you feel need attention. Proprioceptive challenges, together with interoceptive overload (which can act as a kind of interference), make it difficult for hypermobile students to integrate multiple or complex changes into their body and they will quickly get overwhelmed by too much information. • Refer students to the internal – energetic, somatic, psychological – dimensions of yoga. Remind them that the intention of physical practice is to create a simulacrum for life, in which our habitual patterns (samskhara-s), so naturalised as to be transparent to us, can become opaque, and once visible may be worked with consciously. Physical practice is simply an opportunity in which yoga may occur; it is not itself yoga. • In making physical adjustments, focus on helping the student to engage muscles and feel the dynamics of the posture rather than increasing the amount of stretch in it. Adjustment focused on stretch puts hypermobile students at high risk of injury. A good adjustment helps the hypermobile student find the structure of the posture so that they can embody it. Dyscalculia (difficulty with numbers and sequences). Dysautonomia / POTS (disregulation of the autonomic nervous system: so they may feel faint coming up from head-down postures, and dizzy in head-back postures). Chronic fatigue / general need for more rest than usual. Higher than usual rates of anxiety / a sensitive nervous system that easily gets stuck in fight, flight, freeze / low-level PTSD / OCD. • Be aware that while developing strength is desirable for hypermobile people, hEDS / HSD / MS are genetic conditions of the collagen. While muscle strength can compensate to some degree for lack of tensility in the fascia, it can never create the kind of stability that is inherently present for non-hypermobile people (i.e. people with normally coded collagen). This compensatory form of stability is not automatic and must be consciously turned on and maintained. For this reason stabilising their body can be physically and mentally exhausting for hypermobile people. • Know that yoga is very often not easy for hypermobile people. In fact, hEDS / HSD / MS presents many additional challenges in asana work. These may include chronic pain, difficulty in stabilising the body due to lack of fascial support, limitations in proprioception (which, together with stability issues can make balance very difficult), dysautonomia (which may cause faintness, dizziness, a racing heart and unusual fluctuations in body temperature), frequent dislocations and injuries (which may require a longer healing time in a hypermobile body), and difficulty in building muscle mass. • Avoid framing the holding of a posture as a feat of endurance. A hypermobile student may lack the fascial tensility to hold a standing posture for what would be a normal period of time for other students, even when they have good muscle strength. Holding beyond their comfort range may not increase the student’s stamina but cause muscles to go into spasm, and tendons, ligaments and fascia to become inflamed and over-stretched. • If you teach a yin style, be aware that for some hypermobile people an optimal yin stretch may be one to two minutes, and extending the hold time may result in damage to tissues. The appropriate duration will vary from person to person, and for the same person in different postures. Encourage students to track their own edge and emphasise that it is always OK to come out of a posture. The optimal hold time is not five minutes but when you feel ‘cooked’. I have written specifically about yin yoga and hypermobility here. • Be extra-mindful of your own projections. Hypermobile students sometimes receive projections related to the teacher’s own desire to be flexible, and may be inappropriately praised or criticised as a result. Remember that hypermobility is not something that the student is doing; it is something they are being. There is no choice or agency involved in being hypermobile; it is simply a genetic condition. • If you are teaching a student who regularly dislocates (and may also be able easily to put themselves back in joint), keep teaching towards structural integrity and avoid communicating any sense of fear or horror you experience in response. Be aware that this kind of dislocation is an everyday occurence for some hypermobile people and for them may not be a big deal. • If your student is not aware that they are hypermobile, it may be helpful to let them know that you cannot diagnose, but that you think they may have hEDS / HSD / MF. Many beginning hypermobile students struggle enormously with balance and stability, and may be having other unexplained health problems. It can be very useful for them to know that there is a reason for this. Explain simply and without drama, and offer as much information as they want to receive. For some students this will be a lot, for others little. • Offer help to stabilise, strengthen and align the student’s extension rather than asking them to pull back out of it (or not to go so far). This way you are offering them something more rather than taking something away. Most students will be responsive to this approach. • Be aware that for all sorts of reasons, hypermobile people do need to stretch – selectively and in a sensible way. Unstressed tissues are degenerating tissues, and many hypermobile people have some muscles in a state of chronic contraction. • Be aware that in people with the, less common, vascular type of Ehlers-Danlos, the blood vessels, gut wall and uterus are fragile and at risk of rupture (which may be life-threatening). Prevention of trauma to the skin (eg bruising) is important. A person with vascular EDS may need to pad vulnerable areas of their body and avoid any postures that might cause them to fall. Be careful of their skin if you make any physical adjustments. • If you teach an aerobic form of yoga, be aware that for people with Marfan Syndrome (which affects the heart and circulatory system), aerobic exercise is usually contraindicated because it can place too much stress on fragile tissues in the heart, veins and arteries and may lead to heart attack. Whereas many people with hEDS / HSD are unaware that they are hypermobile, those with Marfan Syndrome are most often already diagnosed. This is because it is likely that there have been instances in their family of early heart attack without the usual indicators of coronary disease (for example, a relative with low blood pressure, low cholesterol and a normal weight who had a heart attack in their forties). It is recommended that people with Marfan Syndrome do regular low-intensity, low-impact activities in which their heart rate does not go above 100 bpm. They should work at about 50 per cent of maximum effort. A strenuous yoga class may not be appropriate for them. You can download a guide to Marfan Syndrome and physical exercise here. • If your student is an experienced yogi, by all means offer suggestions for change, but be mindful not to sweep in and reconfigure their practice for them. Remember that the practice is the student’s. Because of the proprioceptive deficits involved in hypermobility, most hypermobile people receive limited information about where they are in space and where their body ends. As a result, control over their own body may be an issue for them and they may feel threatened by any suggestion that you are trying to take over. If your student appears resistant to your suggestions, consider this as a possibility and explore how you could work with them more collaboratively. A style that supports what they already know and adds value to how they already practise will generally be well received. Be aware, too, that hypermobility sometimes attracts a surfeit of technical imput. You may or may not be giving the experienced student something new. Enquire and offer rather than impose. • Some people with EDS / JHS / MS are housebound wheelchair-users, others are elite dancers, gymnasts and circus performers. In a yoga class, some hypermobile people will easily be able to enter physically challenging postures and will travel swiftly through progressive yoga practices such as ashtanga vinyasa, becoming adept practitioners of advanced series. Others will be dogged by injury and chronic pain. One possible reason for this disparity is that hypermobility is in fact not one but a group of many different genetic variations in the collagen. As genetic testing becomes cheaper and easier to carry out, more of these variations are being identified. Avoid evaluating students with hEDS / HSD / MF on their physical performance. A hypermobile student who is often injured may not be weaker or more pushy or more inconsistent in their practice than another who sails easily through increasingly more challenging sequences of asana. They may simply each have a different genetic variation in their collagen. In general, hypermobile students try really, really hard, love working with their body, bring great sensitivity and highly creative ways of apprehending and describing their physical experience, and are a joy to teach. Trust your instincts, honour the unique embodiment of your student, and enjoy this opportunity to explore together. 1. Those with hypermobile Ehlers-Danlos Syndrome, Hypermobility Spectrum Disorder and Marfan Syndrome (hEDS, HSD and MS). I offer occasional workshop days on hEDS / HSD / MS for yoga teachers (both hypermobile and not) and for hypermobile yoga practitioners. For more information see www.embodyyogadance.co.uk or email jess@embodyyogadance.co.uk. This entry was posted in (Dis)ability, Astanga vinyasa, Autism, Beginners, Body, Hypermobility / Ehlers Danlos, Marfan Syndrome, Teachers, Yoga and tagged ashtanga vinyasa, Asperger's Syndrome, Astanga vinyasa, autism, Autism Spectrum Disorder, dyspraxia, Ehlers Danlos, Hypermobility Syndrome, Marfan Syndrome, proprioception, teaching people with hypermobility, yoga, yoga and hypermobility, yoga teacher by jessglenny. Bookmark the permalink. Me parecen muy acertadas las recomendaciones y observaciones sobre la práctica de âsanas, en los practicantes con hiperlaxitud. Te comento dos cosas que según mi experiencia han ayudado a los alumnos: la primera es el uso de las cintas elásticas, y la otra los trabajos de fortalecimiento de los tendones con ejercicios de resistencia. As a hypermobile person, (and teacher and ytherapist in training), I can attest to the fact that hypermobility can get you into trouble. I’ve had a “dead zone” from a chronic overuse injury years ago that kept me from feeling the right-most edge of my body (from pinky toe to pinky through the right ear). Proprioception difficulty indeed. Retraining my body has been one of the greatest gifts of inquiry I’ve ever had… Viniyoga was needed to cool out my Bikram-oriented type A max it out practice. I really really appreciate your post! Thanks for commenting. In my view, HMS / ED is not a disease. It is just a different kind of collagen, which means that people with it have some different experiences from people who don’t have it. Personally I don’t consider myself ill. Thank you for this clarity Jess. I didn’t consider myself “ill” most of my life but I am 70 and the last couple of years have been difficult. I am trying to see EDS as a ‘condition’ and put myself in a place where I can accept the things I can’t change, and work with whatever I can. I still don’t perceive myself as ‘ill’ but I have to accept that to a certain degree I have become increasingly disabled. I have been doing yoga for the past 15 years — the last two years a restorative Iyengar class. It helps with strength and stability — but I am never going to be ‘cured’. I think it has to be appreciated that the symptoms and impact of this condition varies dramatically from patient to patient. I have EDS Type III and I certainly do consider myself ill – unfortunately. The condition has had a significant impact on all areas of my life which is unrecognisable from the life I inhabited only a few years ago. Understating or indeed overstating the effects of the condition can make us feel invalidated. Recognition that we are all individuals and this is an incredibly wide-ranging condition is key. I have hypermobility in parts of my body, but have aged to have arthritis in some of them. It’s only after 25 years of practice that I have learned to stabilize my lower back, which was always a source of trouble for so long. It no longer hurts. I had no idea that this syndrome could be linked with the other symptoms you mentioned, some of which are true for me. Amazing. I want to learn more. Thanks. If you’d like to be kept up to date about yoga and hypermobility workshops, send your email address to jess@movingprayer.co.uk and I’ll add you to the list. I wish I could have given this to my severely hyper mobile daughters teachers, when she was as school! They thought we were being ridiculously over protective! I just started yoga and am quite hypermobile. My biggest problem is in the knees, when the teacher says “lock your knees” for me that invovlves a 10 degree hyperextension, and i find it very hard to do a lot of the poses involving standing on one leg as it is very uncomfortable. there is no stability in my knees and they are wavering back and forth..
Hi Robbie. I assume that you’re practising Bikram, as this is the only style of yoga I’m aware of in which students are taught to ‘lock the knees’. Most teachers advise that you keep the backs of your knees slightly soft, which if you are hypermobile will mean that they may be quite significantl bent to maintain alignment. If you lock your knees, you will not be activating the muscles designed to stbilise your knees, muscles which may already be under-active in somene with hypermobility. You will also be stacking your bones in such a way that your whole skeleton is out of kilter. yes it is bikram – and I don’t follow those orders as I know intuitively they simply don’t work for me! Thanks for the tips. I signed up for 1 month of bikram and find practising in the heat really helps but I’m sure there are other programs that definitely suit me better, which I will look into once the month is up! If you could tell me a few poses i could work on in my own time to help with knee instability that would be great! also forgot to mention that I really enjoyed your blog post and it’s great to here there are teachers out there that know how to work with hypermobility and can also practise themslves with it at a high level! I would need to work with you in person to suggest useful postures. It’s not so much what as how. It sounds like a good idea to explore different approaches. Good luck with your practice! You don’t think ED is a disease? I just lost all hope in using this article as a helpful tool. I’m sure my friends who are getting brain surgery and having consistent strokes and seizures could convince you otherwise. I’ve practically lived in the hospital the past decade due to the complications of my EDS. It causes all of my friends with this syndrome MUCH dis-ease. It’s wonderful you aren’t ill. The group of inherited disorders causes most sufferers of EDS plenty of discomfort and are constantly ill. I don’t think it’s beneficial to denounce EDS as not being a disease for the awareness that is needed here. I find the words ‘disease’ and ‘ill’ disempowering. They belong to a medical model that hasn’t been helpful to me. When I understand my physical experience as just that, just more experience, however it manifests, I have the capacity to work with it, to be in it without becoming it. I have body experiences as a consequence of HMS / EDS that a doctor would probably classify as ‘medical’, but I’m not interested in that paradigm. I find that it defines me without serving me. I can understand that in regards to your own experience and how you choose to see it, but it can be very misleading when you are attempting to teach and bring awareness to this cause and then say it isn’t a disease. I have been unable to walk for three weeks to the day due to my complications. I have friends who have life threatening vascular conditions. I know of a family who has lost four members within the past few years due to strokes from EDS. I do not think it’s helpful for us for you to misinform people about Ehlers Danlos Syndrome. Your experience and the validity of EDS being a disease should be two separate issues. I feel as though you are harming and misrepresenting this for the rest of us. This blog is about my experience of movement practice. Personally, I don’t find the medical model of hypermobility helpful. If you do, that’s great. I’m happy that it’s helping you. Please feel free to trust your own experience rather than mine and to ignore anything I say if it doesn’t work for you. I’m not here to speak for anyone else. I’m not an expert or a representative; I’m a hypermobile person speaking out of my own experience of practising and teaching. This is the truth as I have felt it. The intention is not to minimise the seriousness of the repercussions of HMS / EDS for anyone who has it, but rather to view HMS / EDS within a different paradigm. If I see myself as the victim of a disease, I feel trapped, damaged and powerless. I personally find that a paralysing situation. I prefer to choose forms of understanding that allow me movement and capacity for change within an acceptance of what is. Thanks for commenting. Also eds is a range. Some folks have ot awful. Others minor. But there is a range of my bendy friends . Some have pots some just the HMS … some with a range if non life threatening issues. I get hos frustrated you are. But I found this informative and helpful. And there’s not that much put there like this. You can have a disease and not be a victim of it. I am not trapped, powerless or damaged because I admit that I have a disease. I disagree and think it’s very damaging for the rest of us when you claim that EDS is not a disease. Nothing forces you to feel powerless, but your own mind. I am not a victim of my illnesses and I don’t let them define me or depict how I view myself. I don’t think educating people of EDS and saying it isn’t a disease isn’t helpful for anyone including yourself. THANK YOU for misrepresenting this issue for the hyper mobile and Ehlers Danlos Syndrome community. I’m glad it makes YOU feel better to create more difficulty for the rest of us. How helpful of you! Jac Nicole – It seems as though you are misinterpreting this article for a medical journal rather than tips for yoga teachers to consider when they may come across hyper-mobile students. The author is merely expressing her subjectivity towards the damaging personal and social connotations and stigma that a word such as ‘disease’ holds. She quite obviously states that it is in her ”her view” that it is not a ‘disease’. It is great to hear such a freeing attitude in life much needed in our society (see Ted talks below). A great post and very enlightening, Thank you Jess. A very big thank you for this post! As I delve deeper in to yoga, I am continually learning. Yet I find little discussed about HMS. Many of my joints are hypermobile. As a student, I am learning that some teachers provide verbal cues which are able to bring me in to the asana without going down the familiar hypermobile route. I love it! A whole new perspective and experience! I am definitely bookmarking this post! As a yoga teacher, with HMS, I thank you for this article. I even posted a link to it on my own website. I wish I had met teachers with HMS experience, when I first began a yoga practice almost 20 years ago. Luckily, I did, when I met my first teacher trainer, and she changed my practice and taught me to help others with similar joint openness. I recently underwent bilateral arthroscopic knee surgery, to repair damaged cartilage to both my knees, due to a lifetime of going too far and too deep into my hypermobility. Thank you so much for helping to bring awareness to this. Thanks, Melina. Good luck with the knees! Thank you for sharing this critical information. I’m in my 60’s, hypermobile and a long-time yoga practitioner. Have returned to doing a home practice solely and not going to yoga classes. I’ve always believed in the value of one’s own practice but have also learned a great deal from several excellent teachers. What I’ve realized, however, is how difficult it is for an instructor to modify class to suit so many body types. And, it took me many years to learn to not listen to instructions that would be useful for people who were “stiff” but totally wrong for my overly flexible joints. I also recognize that classes activate my tendency to push too hard into poses that may not be appropriate at that moment. Since yoga is truly about awareness and joining spirit with body/mind, doing one’s own practice is an excellent way to truly listen to that still small voice within and to let it guide the practice. Wow! I just clicked on your article from Matthew remski’s blog and had a real penny drop moment. I have been told by a physio before that I have hyper mobility in my spine. I’m not sure if this makes me hyper mobile or not but I felt as though your article was written just for me. Especially what you wrote about not having awareness of your body. I sometimes feel myself at a low point as I do try practicing yoga to help alleviate pain in my back. I have recently just become really confused about whether yoga has been contributing to the pain all this time? I have cut back on the yoga and tried to walk every day …again it is like I do not understand what is going on. My other issue is that I live in a remote community where i am the only yoga teacher so do not have a teacher that can help me regularly. Perhaps I need to try clinical Pilates or something more subtle! Thank you for giving me another perspective on this. Perhaps I will try looking into the other links too! I’m glad it was helpful Cath. I’ve found the great gift of a complex body is that it offers much greater potential for learning on all sorts of levels. Good luck with the journey! Very very well written and great resource list. Thank you for including my blog. ~ Sam of Everyday Aspergers. I have hyper mobility syndrome and a close cousin to POTS syndrome, and almost all of the the comorbid conditions you listed that are related. Wish you were my neighbor. I have no body awareness sometimes. I do walk several times a month and am retrying water therapy. Yoga often left my body in too much in pain, as I didn’t have a teacher who understood…nor did I understand at the time. Also, PMDD is a common part of my life, which leaves me unable to exercise as it triggers the conditions. Anyhow, thank you again. I shared the article. Thanks for commenting and sharing, Sam. Yes, I maybe should make that clear. I tend to think of Marfan as being under the HMS heading, as it generally is included under the broad umbrella, in the UK anyway (eg by the HMSA. Thanks for commenting. Thank you for this article – I’ve recently been diagnosed with HS after several years of quite a strenuous ashtanga practise caused or at least aggravated an underlying SIJ issue. Up until that point I thought I was just ‘really good’ at yoga! Whilst the ashtanga certainly built up my core strength to a large degree, it’s still not quite enough to hold my SI together without a lot of focus, which is fatiguing, and having to reevaluate my ‘style’ of practise, and whether I should be practising yoga at all, has caused quite a dent to the ego. This post put it into perspective and gave me pointers to continue in a safer way, and, more importantly, that I’m not alone in feeling this way. Thanks so much! Hi Heather. Thanks for letting me know about that. I’ve taken it up with the owner of the site. It does seem to be pretty obvious plagiarism. I’m really glad you found this article helpful. There are several others on the blog about my personal experience with this kind of thing. You may find this one interesting: https://movingprayer.wordpress.com/2014/08/27/a-cascade-of-epiphanies-in-which-i-put-my-foot-behind-my-head-and-end-up-writing-about-injury-again/ Love and good luck with your practice. Hi Jess, Thank you so much for this insider perspective on EDS/hypermobility and yoga! I’m a physiotherapist (physical therapist in the States) and a yoga teacher. This is one of my main interest/research areas. I welcome anyone (yoga teachers or students) to join the Facebook group I created on Yoga for those with Hypermobility or EDS https://www.facebook.com/groups/YogaforHypermobility/ — I’d love to know your personal stories, what works, what doesn’t and have yoga teachers join be in the know about hypermobility in general, and secondly, I wrote a similar, but much less extensive, blog post on teaching yoga to those with hypermobility: https://yogaanatomyacademy.com/6-tips-for-teaching-yoga-to-hypermobile-students/ and I may add some of your recommendations to it (crediting you!). I’d also be happy for your feedback. To Jac Nicole, and anybody reading this, — on the thought of whether EDS is a disease or not. Remember that EDS (or any syndrome) is simply patterns, clusters of symptoms. Some will fair well, some will not. Some will be fine until a certain age. Some will be born facing huge obstacles. The syndrome is highly variable and has a wide spectrum. Our task in general in cultivating deep compassion, is in knowing that someone may look perfectly healthy on the outside but be experiencing unseen challenges. You never know someone else’s story. Let’s embody compassion for those who suffer, and be joyful for those who feel healthy. Very good article – thanks for the link. Yes, feel free to quote me and credit. My current ‘yoga’ teacher is a physiotherapist. He knows nothing about yoga, but I do, so he doesn’t need to. It’s more helpful to me to have a perspective from a different body modality. I agree with you about clusters of symptoms. That’s the micro. And then on the macro there are clusters of conditions (HMS, autism, fibromyalgia, dyspraxia, etc.). I also would really second your last two sentences. I have four invisible disabilities and I can put my foot behind my head, but that’s not the whole story. Hypermobility is tantamount to worshipped in the yoga world, and sometimes, for some people, in some ways, it can bring advantages, usually only in the short term. I wish more people had your perspective, thanks for writing this article to help change that. I am an Ashtanga Vinyasa teacher and practitioner with EDS and chronic pain and have encountered a lot of misunderstanding, sometimes to my lasting suffering (people dislocating my joints, ripping muscles, etc). You hit a lot of important points that teachers should understand to help hypermobile students find their potential & health in movement practice. Thanks. Slowly things are changing. Thank you for this article!! I’ve practiced Ashtanga yoga for the last 18mos (self started and then started going to Mysore sessions). I’m also certified and teach up to five classes a week. 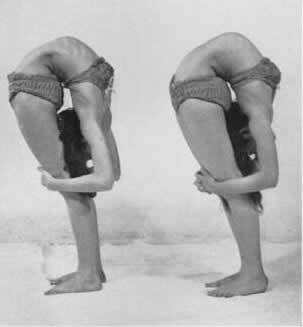 Today, my teacher told me that my pelvis and shoulders were hyper-extended in downward dog (I had no idea). My hamstrings are constantly sore and my knees ache, but I just considered it part of the package. I’ve always had an inordinate amount of flexibility and ‘double jointed’ elbows. I will need to relearn much of my practice so that I do not continue to put undo strain on my joints and muscles!! Learning to pull back is going to be hard!! I will also have an eye on my students to be super that they are not hyperextending in their poses as well! Thanks again!! Hi Jess, thank you for this wonderful article… frustration of not being able to do chaturanga led me to research and everything I’ve found about my hyper mobility has been scary and very eye opening. Your article was extremely touching though. I’ve gone through so much assuming everyone goes through certain pains or that I was just weak and I’d compensate by working out more or not working out at all and just keeping my mouth shut for years because I don’t like to complain. I’m glad I found this though. One question that came to mind was why are hyper mobile people likely to be dyslexic or autistic? I understand physical fatigue and pains but why is that related to certain mental disorders?